Honoré Balssa was born 20th May 1799, in Tours, France. His early writing career was not promising as his plays were not successful, but as he moved into fiction and novels his popularity grew. Credited with defining the form of the novel and the idea of the omniscient narator, he is considered one of the most influential novelists to write. 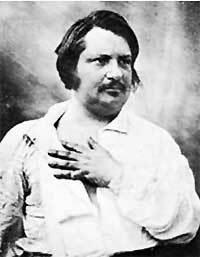 He passed away in Paris on 18th August 1850, only months after marrying his lover. We have 8 titles available.